Offering uniquely appointed décor with handsome Texas style furnishings, this spacious casita has an open floor plan that includes a sitting area with a rock fireplace, king bed, queen sleeper sofa, TV, tile bathroom and separate kitchen. Across the street from the main hotel property, overlooking the peaceful Gage Garden, the property features an expansive covered porch with outdoor patio seating facing a private landscaped fenced yard with carport. 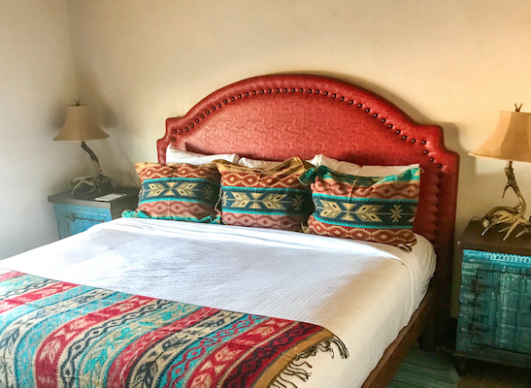 A favorite with newlyweds, this lovely one-room casita features a high vaulted ceiling, beautiful stenciled wall finishes, kiva fireplace, king bed, day bed, TV, dressing area and slate tile bathroom. Tucked privately across the street from the main hotel overlooking the beautiful Gage Garden, the romantic casita feature French doors that open to a private patio facing the garden’s orchard. A covered side porch opens to a private fenced yard and carport. Located directly behind the historic hotel, this family-friendly two bedroom casita includes a king bed and two double beds complimented by a large living area with TV, spacious kitchen, a charming front porch with rocking chairs, private fenced yard and carport. Wedin House is a newly-restored house originally built in in 1920. Tucked away behind the Gage Gardens, the Wedin House is the perfect retreat for a larger family. The three-bedroom, two-bathroom house includes a dining room, kitchenette and living room with an oversized fireplace. The best part is the large outdoor deck that looks out on the Glass Mountains. 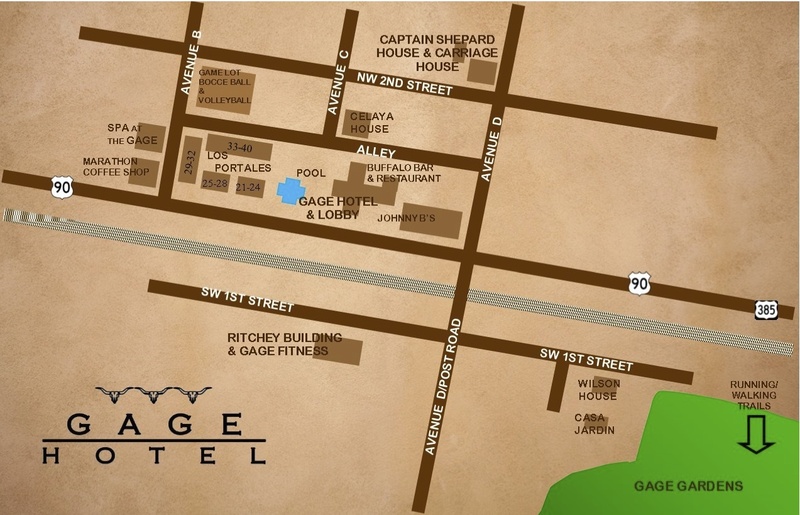 Introducing our newest restoration, the Alfred Gage Suite! Honoring our hotel’s namesake and first owner, this newly-renovated building provides modern comfort with accents of that signature Gage flair. This elegant suite includes a large living area and TV, a king bed, a grand master bathroom, and lovely private porch. At this time, the Alfred Gage Suite is not pet-friendly. 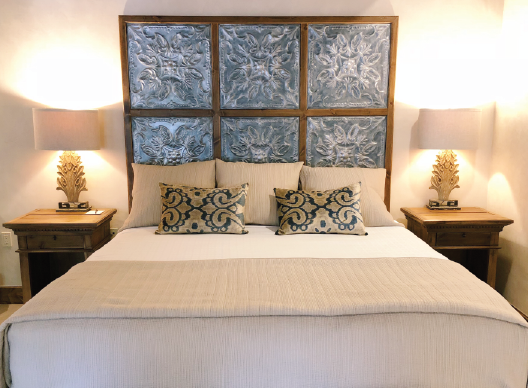 Casita in-room amenities include Wifi, plush bathrobes, premium beds and linens, toiletries, hairdryer, iron, bottled water and complimentary coffee service in the hotel lobby. All casitas are pet friendly. Please click here to read our pet policy. Pictured below from left (top row) Celaya House, Wilson House, Celaya House (bottom row) Celaya House, Alfred Gage Suite, Wedin House. Click here to view our property map.